Betsy and I enjoy celebrating Valentine Day by visiting waterfalls. February is a great month for hiking here in the South. The weather is usually fairly mild, and we often have the waterfalls to ourselves. 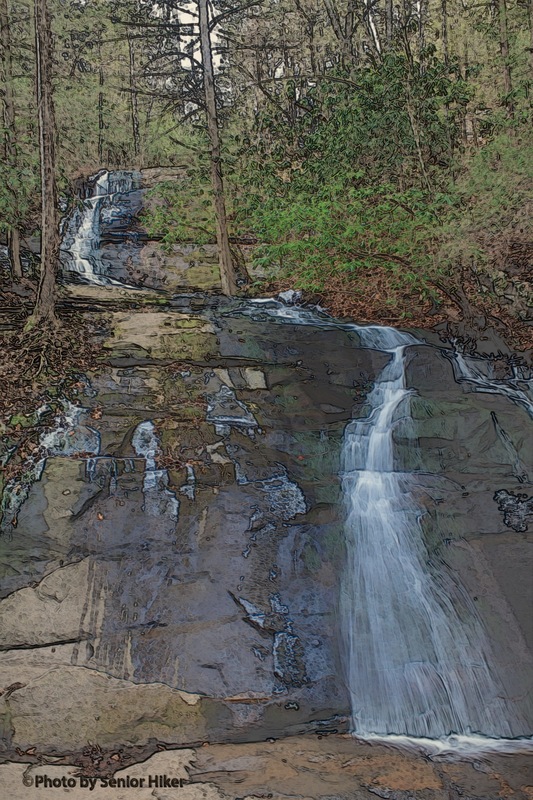 This pencil sketch is based on a photo I took of Fall Branch Falls near Blue Ridge, Georgia, in February, 2012. Last January Betsy and I traveled along Middle Prong of Little River in the Smokies above Tremont. 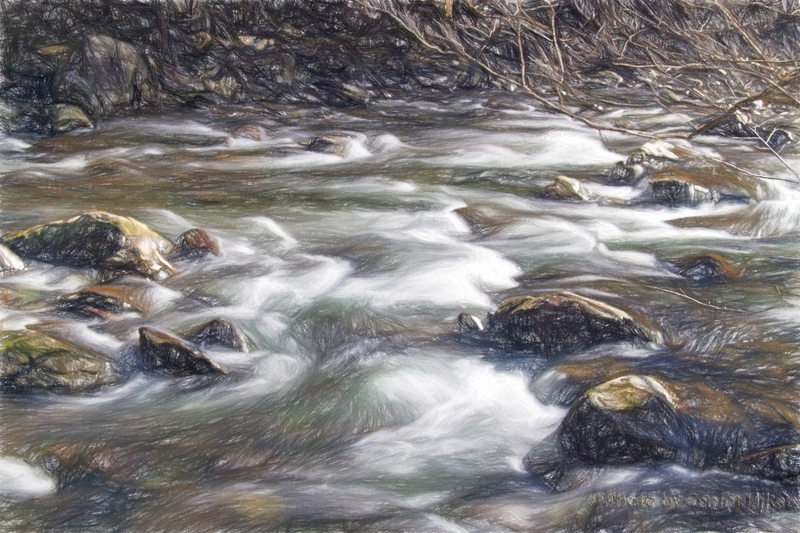 I got the photo which is the basis for this color pencil sketch while enjoying the water rushing over and around boulders in the stream.